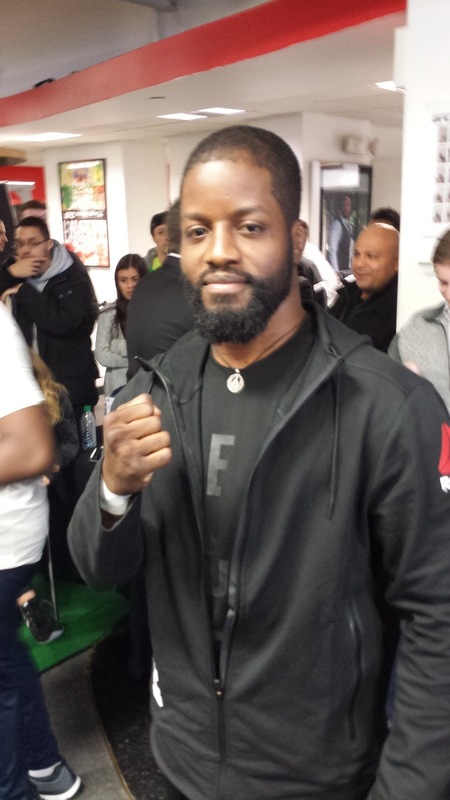 In the early 2000s, Nardu Debrah was fighting in rings set up in Russian restaurants in Brighton Beach, hotel ballrooms in Midtown Manhattan, and nightclubs off the Long Island Expressway. Nowadays, though, he's an elder statesman of the sport, with a black belt under Renzo Gracie and a school out in Brooklyn - a school that's produced none other than ROC champ and UFC newcomer Randy Brown. While Brown was fulfilling his contractual obligations of talking to the assembled media at the UFC on FOX 18 open workouts in Hoboken, N.J., Debrah was kind enough to let me stick a camera in his face and grill him. Why would I want to skip over the fresh-faced rookie for a chance to rap with the salty veteran? Because Brown's got all the time in the world to make history, but when it comes to the history of MMA in New York, Debrah long ago made himself an important part of it.